The Miss Curvy Uganda has gained tempo after organizers confirmed that at least 140 women had registered. 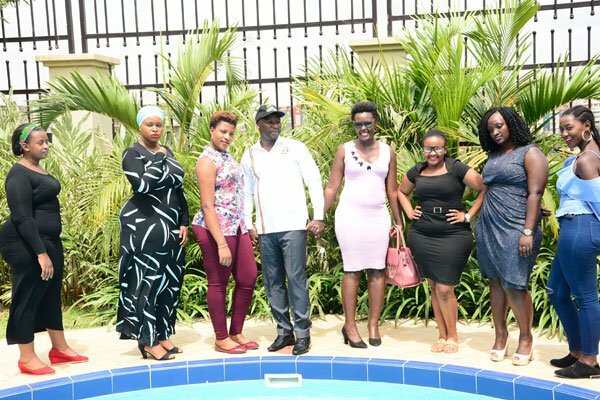 The contest, set for June 2019 brings together women with curves that can represent Uganda and impress tourists from all over the world. The controversial event requires the participants to have features that define African femininity. They have to be very well endowed. The organizers got into some legal trouble when they used the photo of a Kenyan celebrity, Grace Msalame as the cover. She released a statement that asked why they had used her image without her permission. The CEO of Miss Curvy Uganda, Ms Anne Mungoma, claims that the event was misunderstood. This event is a beauty pageant for the natural-plus-size, which we must embrace and appreciate. We want the beauty queens to express themselves; so appreciate their intellect and clear the impression that a beauty queen must be size zero. Ms Mungoma argued that Brazil has a carnival, that is to appreciate women and not to sell them in any way. Tourists go to see the Karimojong, the Masai, and the Batwa; are they up for sale? Curvaceous women are eye-catching people unless they are saying we restrict beauty pageants to only slim ladies. She was asked how the contest will translate into more tourists for Uganda and she claimed that the winner will participate in other world pageants. In that way, she will showcase what Uganda has to offer and this will attract tourists.